The Watchtower In San Vito Lo Capo Wall Mural features Saracen Tower, an ancient watchtower in San Vito Lo Capo, Sicily, Italy. 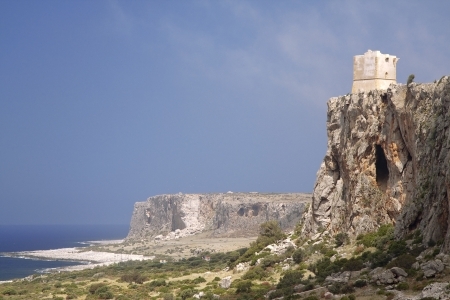 The tower stands proudly atop a tall rocky cliff overlooking the blue sea. Choose your own size and material.